Does New York Need Standard Taxis? Today we saw another drama in the continuing misadventure of the new NYC taxi. It makes us wonder, why does the city even go to the trouble of setting a standard taxi? How Is New York&apos;s Nissan &apos;Taxi Of Tomorrow&apos; Still Not Wheelchair-Friendly? StreetsideStig and GuacamoleFire broke down what a city is like without standardized taxis. I still don't understand why the city gets to choose all the cabs. Shouldn't it be up to the cab companies? I think a set of rules should be stated, MPG, size, and number of doors. That would make them rather uniform while still letting companies choose from a number of manufacturers, then, carmakers would battle for the market and you have a healthy taxi market that works within a designated Formula. But why even have the formula? It seems like cab companies would automatically outfit themselves with durable, low-cost, efficient, and spacious cabs without even needing the guidelines. You absolutely need a formula. In México we had the No Formula at all plan and all we got was that everybody chose the VW Beetle that was almost a landmark of our city. They just bought the most durable, cheap and unsafe vehicle out there. We now have a very lose formula, choose whatever with 4 doors and paint it in the official horrible color combo. We still have crap like this Hyundai Atos making the rounds but it is an improvement over the Beetle. What do you think? 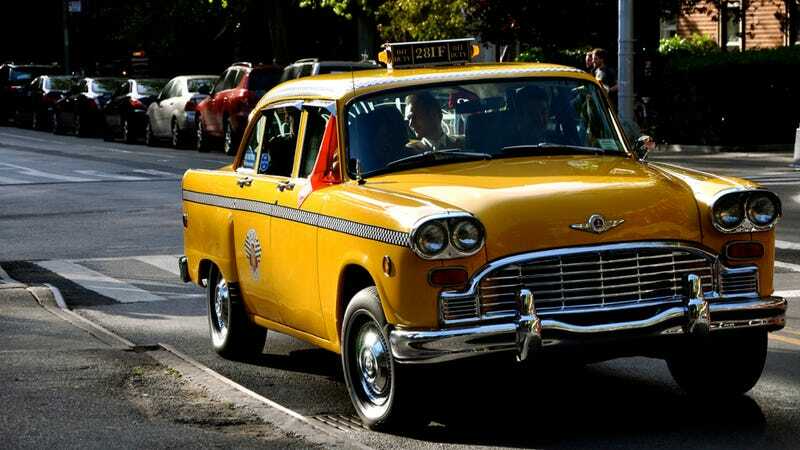 What cars do you think would make a good taxi, and should it be up to the cab companies to pick 'em?